Thai noodles are categorized in 5 parts. Sen Mee noodles are very thin in size and prepared with fine rice powder. The bigger size is known as Sen Yai and is about an inch wide. Bah Mee is mainly egg noodles and usually yellow in color. Sen Lek is another popular type and is used in Pad Thai. Lastly, Wun Sen or Glass noodles are famous amid health conscious people and made from mung beans. Yummy Pad Thai noodles are quite popular amid noodle lovers. They are aromatic and rich in taste and can be cooked without putting a lot of efforts. Just pair your bowl of noodles with sparkling white wine or cold lager, and enjoy! 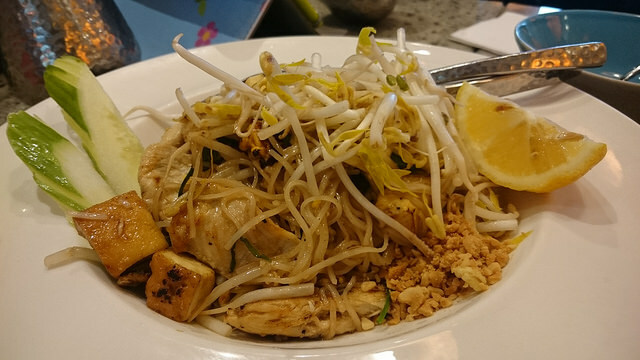 Don’t forget to try Chicken Pad Thai, which is packed with an abundance of textures and flavors. The amazing blend of thin rice noodles, stir fried, assorted vegetables, shrimp, chicken, egg and fresh bean sprouts will tantalize your taste buds for sure. 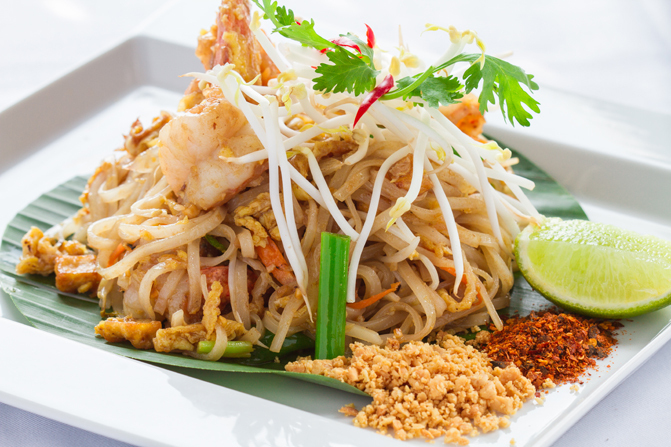 Simple to make and unique in taste, Pad Thai genuinely deserves every bit of its huge popularity! This delicious noodle recipe is the best way to get the real taste of the noodles. It comprises fried rice noodles with mashed chicken in a flavorful sauce, together with fresh toppings of basil and crunchy nuts. You’ll love the tangy taste of different flavors with the perfect balance of noodles and chicken. Just a glimpse of this dish can spread a big smile on your face! This scrumptious dish is made with flat and broad rice noodles. The noodles are mixed with beef, chicken, and some basic ingredients. They are fried lightly and then dark sauce is added to enhance the taste and color. Sauce made with marinated meats, green vegetables, garlic and soybeans gives this recipe an exotic taste. You can enjoy them anytime; they are simply best for lunch and dinner both. This is a scrumptious blend of kale, egg, garlic paste, soy sauce and stir-fried rice noodles. All these ingredients are mixed perfectly to create a mouthwatering dish that goes down smoothly. 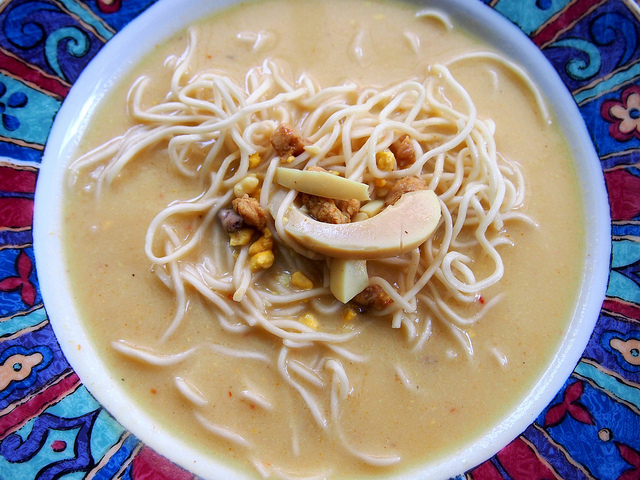 This Thai combination noodle recipe is very easy to make, hearty and wonderfully luscious! Fresh basil and rice noodles are the main players, which means this recipe is for vegans and gluten-free. The Thai style pesto is slowly fried with rice noodles. Then the topping of basil and crushed cashews are sprinkled to satiate your craving for noodles. ENJOY! A must try for true noodle lovers; this Chinese inspired noodle recipe is healthy and super-tantalizing in taste. Usually the blood of beef is added into the soup to make it extra tasty. Although it sounds strange, but this adds richness, deep brownish color, amazing taste and thickness to the noodle bowl. 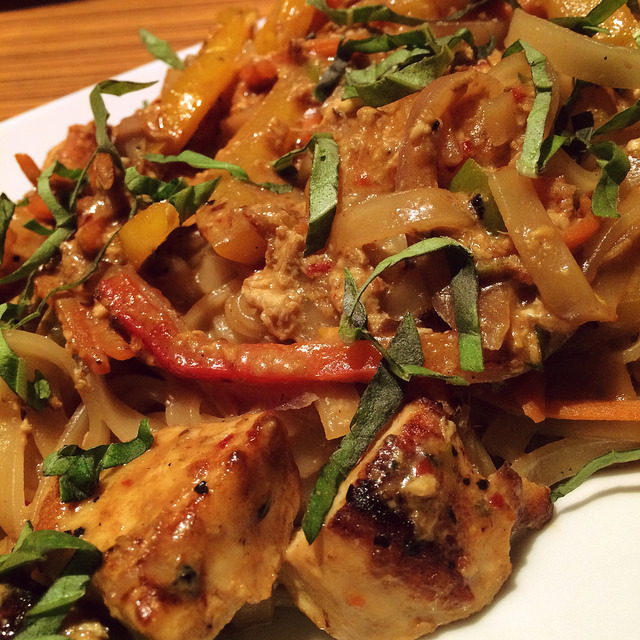 Flavorful and aromatic, these Thai noodles can be cooked easily! You can prepare them with chicken or shrimp pieces, or substitute with other ingredients like filleted fish, squid or scallops. This recipe can be prepared with egg, wheat or rice noodles.